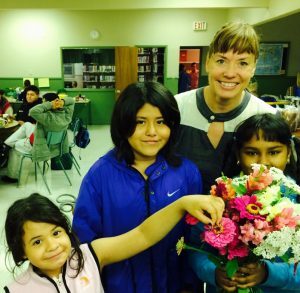 Jen Rashleigh is the founder of Farmers on 57th and co-leads the Garden Club, Growing Eden and Community Kitchen programs. 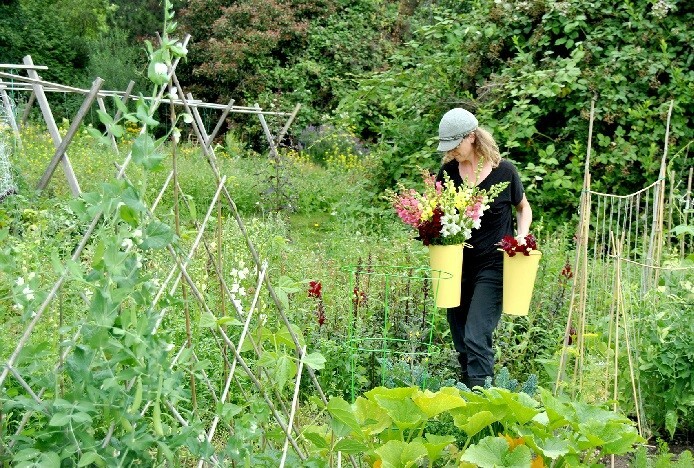 She grew up in her mother’s garden, and realized that gardening was in her blood when she moved into a bachelor apartment with no room to grow. She began a guerilla garden between two concrete parking lots for her own private pleasure, but soon learned the unbelievable power of gardening for community engagement as everyone leaned over the fence to shares stories of their grandmother’s garden, or give pointers on how to grow potatoes, or… When she worked with the Northern Nation of Gitxaala to start their own cultivated gardens, and witnessed the resulting community satisfaction and empowerment (and giant cabbages!) she was officially hooked. 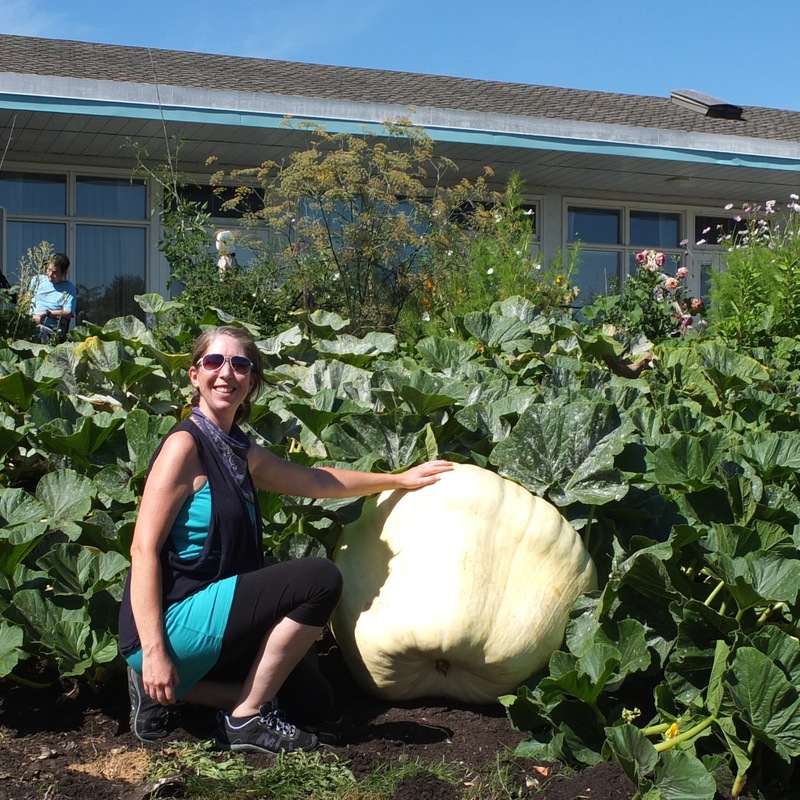 She got the idea for a Vancouver community-integrated farm while biking past Pearson (her mom had worked there as a physio for 20 years), and with the support and vision of the Disability Alliance of BC, began Farmers on 57th in 2009. Jen completed her Horticultural Therapy training under Ann Kent, and joined both the Canadian and American Horticultural Therapy Associations. Jen sees the food growing movement as a means to build community and personal resiliency, engagement, sharing and joy. It never gets old. Jen is mother to Owen, Farmers on 57th baby #3 (there are 6). When she isn’t food growing or parenting, she’s making documentary films, tap dancing, or singing in a choir. Karen Ageson is the CSA farmer for Farmers on 57th, market garden manager and one of the instructors for the Grow Your Own Food Course. She enjoys working with the living soil and the plants that sustain us. She especially loves to share the joy of growing, being outside, and eating amazingly alive veggies with CSA members, community gardeners, volunteers, kids and the many urbanites that find themselves in the market garden on any given day (coyotes too!). Karen has tended the Farmers on 57th Market Garden since breaking ground in 2009. 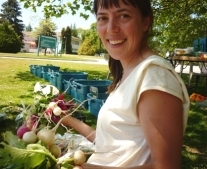 She has worked for the Canadian Organic Growers, International Federation of Organic Agriculture Movements, completed an organic farming internship at Fallsbrook Centre in New Brunswick, WWOOFed in Switzerland and Mexico, was a SPIN farmer in Ottawa and in 2017 graduated from the Gaia College Organic Master Gardener course. 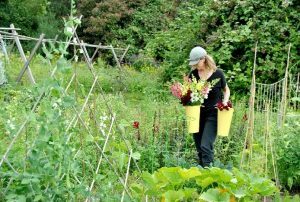 Karen is a Professional Agrologist with the British Columbia Institute of Agrologists and founding director of the Vancouver Urban Farming Society. Jess Henry grows florist-quality cut flowers for Farmers on 57th CSA members, local restaurants & event designers, as well as providing a truly unique & sustainable opportunity for local couples planning weddings. She also co-teaches the Grow Your Own Food Course. Jess comes from a background of rural farm work with a focus on horses, pastured poultry & bio-dynamic farming. Jess helped roll up the sod on the lawns of George Pearson Centre in 2009 alongside Jen & Karen. She discovered that gardening with your child strapped to your back is not at all a romantic thing to do, albeit highly rewarding! A country girl at heart, Farmers on 57th has been an oasis of sanity, connection to the soil, and meaningful community engagement in the midst of a busy life in the city. Alongside flowers and vegetables she has raised 2 children in the market garden & is driven to help extend that opportunity to other people looking to connect with their food source, the soil, their community, and the birds, bugs, and bees that share the garden with us. Sarah Wenman has been a part of Farmers on 57th since the beginning, as part of her work advocating for a home-like environment for people with disabilities living in residential care. 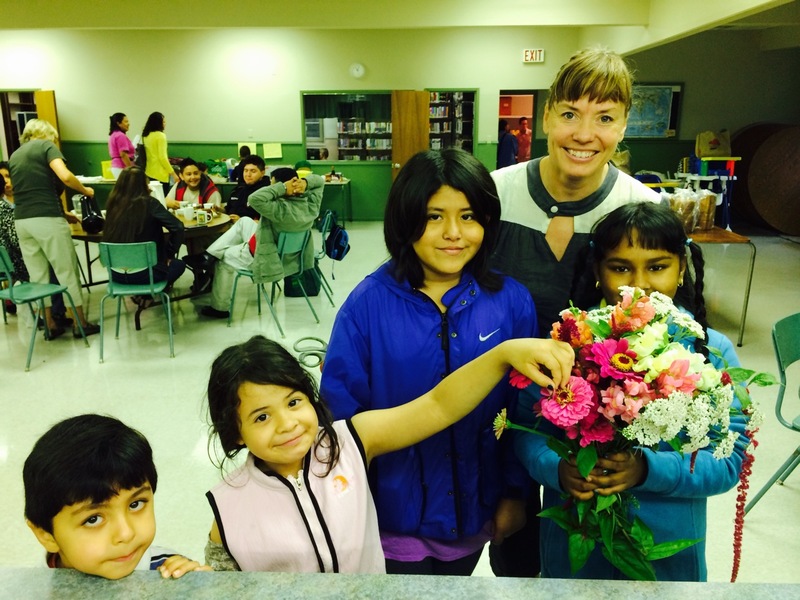 She co-leads the Garden Club and Community Kitchen programs at George Pearson Centre. Driving many of her other community building projects around Vancouver is the understanding that sharing locally grown food is pivotal to healthy communities and individuals. Sarah has a passion for growing, preserving, preparing and eating locally grown food. This started at a young age when her dad taught her how to wipe the soil off a freshly harvested carrot and eat it. She’s always found a place to plant seeds, even while living in an apartment in the city – she currently grows vegetables and fruits in her neighbour’s back yard. Sarah is dedicated to enabling access to green spaces and local food for everyone, no matter a person’s income or ability level. She has observed how spending time in a thriving green space brings contentment and joy across varied populations. She knows how sharing the harvest around a big table anchors a community, and being able to contribute to that meal creates a sense of pride. Sarah writes about and photographs her adventures and enjoys spending time (and sharing food) with her friends and family in Vancouver.